THESE days, you can almost never find a corporate executive who isn’t either into golf or marathons. Though considered sports or hobbies, these weekend activities invariably still end up being an opportunity for networking with their peers or targeted clients. 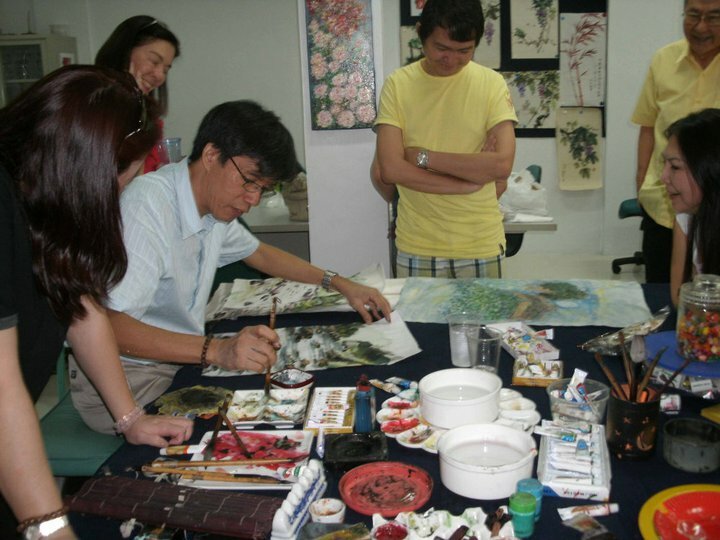 So it was quite refreshing to discover that Alex Chan Lim, Philippine country manager of MoneyGram International, spends his weekends with his family teaching modern Chinese brush painting to a diverse group of students. In his private studio in Pasig on the recent Saturday I visited him, there were about seven students gathered, mostly merrily chatting away, some with their Chinese brushes still in hand, gently working these on rice paper to create art. There was no perspiring here, no racing heart rates, nor a push to perfection. It was just a cheerful, relaxed atmosphere as the students leisurely practiced their brush strokes. 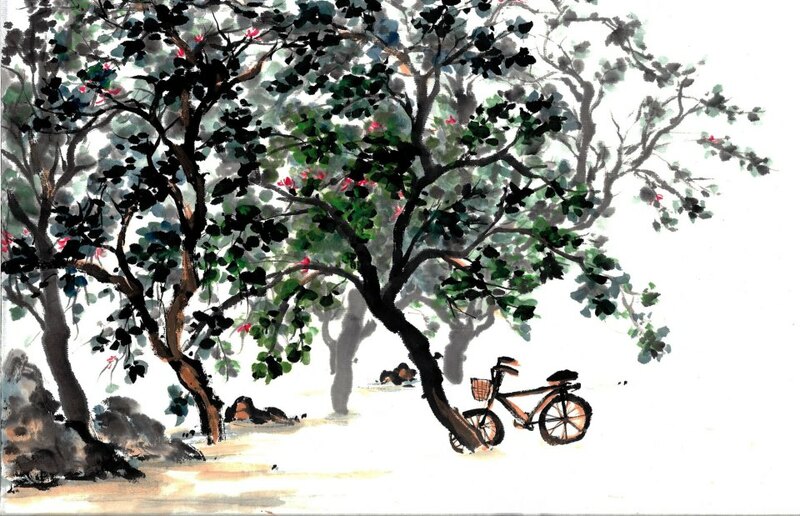 As with most Chinese brush paintings, the artwork invariably depicted are lightly tinted flowers, horses, bamboo, or lush landscapes in bold vibrant colors. It was a casually attired Lim who met me with a welcoming smile and warm handshake, and after our initial greetings, he led me around the room introducing some of his students. Among them was an ex-president of a bank, an airline official, and two smiling Korean ladies whom I was told later, hardly spoke English but just enjoyed coming to class. His family was also gathered around, including his wife Ester, who helps in teaching the students, their daughters Kaye and Kyra (the eldest Geoffrey wasn’t around), and his father Jose. Lim came home in 1990 when his mother Rosa passed away, and has been based here since. He has worked in various “intensive” industries, making full use of his engineering background. He designed distribution centers for Levi Strauss Philippines, handling systems for DHL, and packaging for integrated circuits for Advantek. Later, at Ausenco, a mining services firm, he became a project manager—“a good learning experience” but, he says, it was “not my cup of tea,” understandably due to the inherent controversies in the industry. In April 2011 Lim made his first foray into the financial services world when he was appointed Philippine country manager for MoneyGram, the world’s second-largest global money-transfer company headquartered in Dallas, Texas. The next month, he set up the company’s very first office in Makati, in recognition of its burgeoning remittance business in the country. 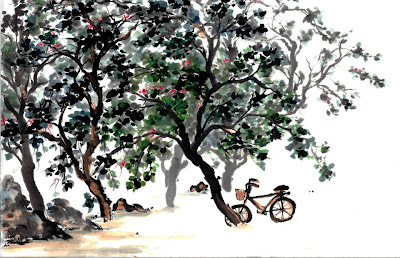 While it may not be immediately apparent, Lim’s creativity as a painter has actually enabled him to “think out of the box,” he says, in solving problems at work. Also, it has helped him in the marketing and advertising aspects of the job, enhancing his ability to judge whether a TV commercial being produced for the company’s brand awareness campaign is up to par with the company’s standards of excellence and good taste. There are also times when his work at MoneyGram fuses with his painting. Back in January, for instance, the company supported an on-the-spot Chinese lantern-painting contest at the SM Mall of Asia to celebrate the Chinese New Year. The winning entries were later exhibited along with those crafted by his own family members and students. The Chan Lim Family of Artists and Students were also in Davao City in October to exhibit their works and conducted workshops at SM City and Marco Polo Davao Hotel. Lim is ecstatic that a lot of institutions have recognized their group and regularly invite them for exhibits.